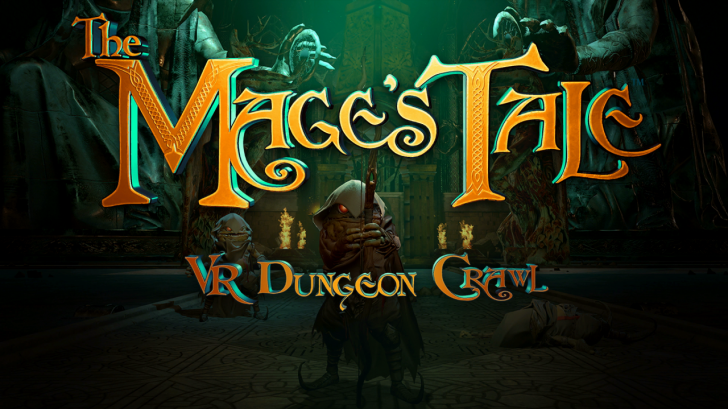 Last year, inXile Entertainment released a new title on Oculus Rift and HTC Vive called The Mage’s Tale which is a virtual reality, first-person, dungeon crawler set in The Bard’s Tale universe. 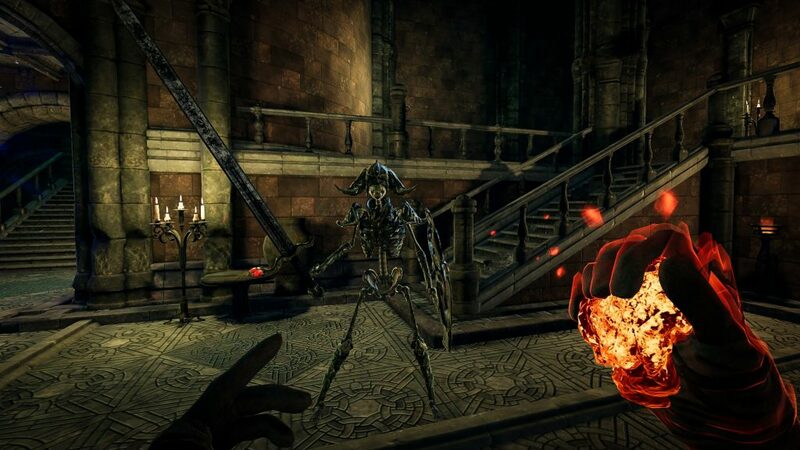 Only owning a PlayStation VR, I had to sit and wait patiently for The Mage’s Tale to hopefully make its way to Sony’s device. 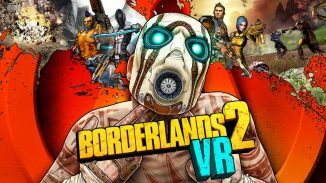 As of this week, the game is now out on PlayStation VR and I’m here to tell you whether the wait for this one was worth it for PlayStation VR owners. As I mentioned in the opening, The Mage’s Tale is set in The Bard’s Tale universe and more specifically takes place between the third and fourth games. Don’t worry about being lost though as this game is designed to be enjoyed without having any knowledge of the main series. Something else to keep in mind before you buy this game is that you will need to have two PlayStation Move controllers to play it. There is no Dualshock 4 support and when it comes to the controls it makes sense. Upon starting the game my movement was set to stutter steps but there is an option to change it to Free Movement and Free Turning which is something I did right away. This allows you to point the Move controller and press the Move button to advance in square segments. 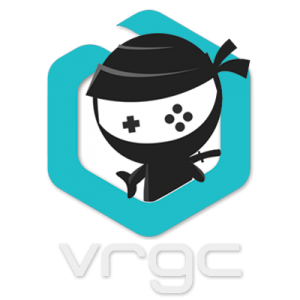 This is actually something launching with the PlayStation VR version that had to be patched into the other versions that launched last year. 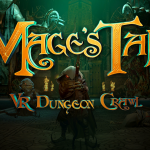 One of the things I really liked about The Mage’s Tale is that this is closer to a full game rather than a short experience like quite a lot of other VR titles. It took me over 12 hours to finish the ten dungeons that are in here. Now you can probably finish it faster but I’m the type of gamer who likes to explore everything I can and try to see everything the developer has filled their world with. 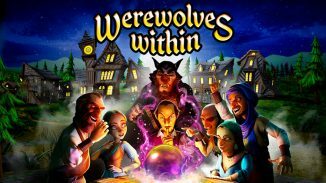 The game has combat encounters, puzzles, deadly traps and plenty of spellcrafting for the wannabe wizards out there. So how is combat in the game handled? Pretty well actually. Encounters usually involve the exits of the room being blocked off and then waves of enemies spawning in. 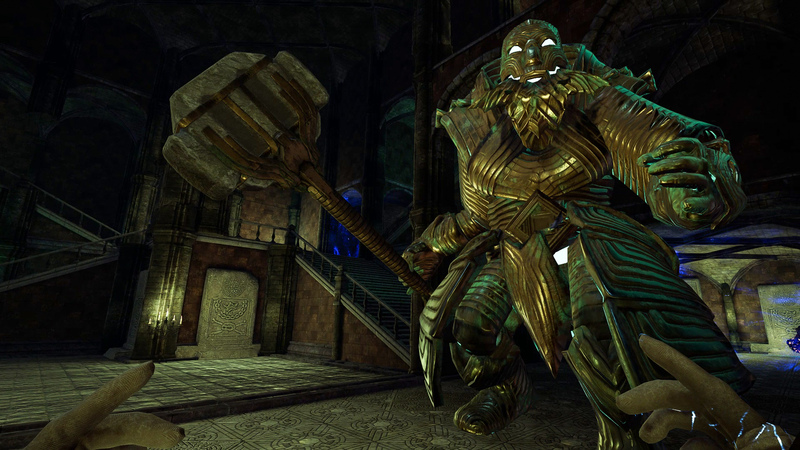 You aim at enemies by looking at them while conjuring spells and unleashing them with the Move controller. You can also defend yourself by bringing up a magical shield with the Move button. You start off with only being able to cast fireballs but as you advance and find new materials you can craft new spells. You can craft these back at your home base and the other spells include wind, lightning, and ice spells. More importantly though is how you can then take these effects you find in the dungeons and mix them with these spells to give them new abilities and effects. You can make your fireball spell be able to seek out enemies for example. I had a ton of fun experimenting with this system and found there to be a ton of options. It’s also really easy to bring up the menu during battle to switch between the spells letting you bounce between casting different ones. The only downside to any of the movement or spellcrafting is that the Move controllers aren’t as good as what you’d find on the PC so sometimes the tracking and such was a bit off and made things a little more difficult than they needed to be. This is especially so when trying to grab and mix things when crafting your spells as I had quite a few times where I pointed and struggled to get the game to register that I was trying to pick a certain item up. I really found each of the ten dungeons to be well designed and paced with different things to do whether it was fighting, dodging traps, collecting treasure and so on. Puzzle solving felt rewarding as I used my different magical abilities to manipulate things in the environment to solve them. Each of the ten lasts a good amount of time and each one concludes with a boss battle which I was quite surprised by. They were all really enjoyable too with each one having their own mechanics to learn and adjust to in order to overcome them. Every dungeon you finish improves your mage and lets you further improve their abilities making you feel stronger and stronger as you get towards the end. The visuals in the game looked good enough and I dug the fantasy aesthetic that it has but they also were a little bit blurry and could use some improvement. I played it on a PlayStation 4 Pro and luckily I’ve heard that inXile is working on a PS4 Pro patch for the game to improve the visuals. The load times weren’t annoyingly long either which is something else I heard was improved from the PC version that launched last year. Music is also enjoyable whether it’s the intense music when you get into combat or the more calm tunes when just exploring. 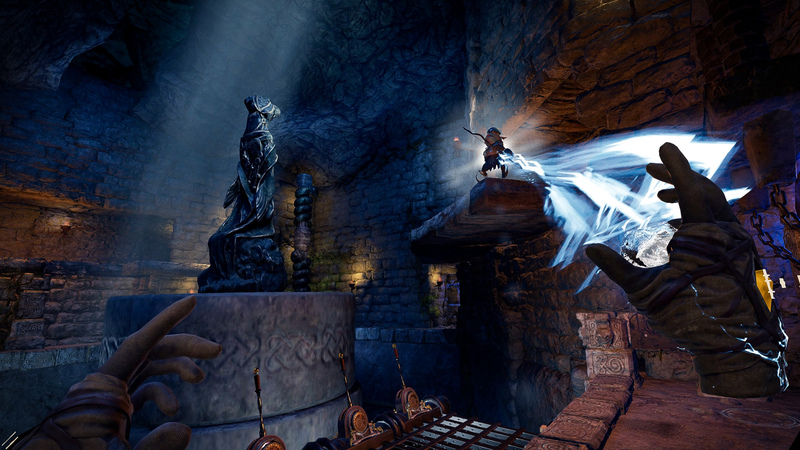 The Mage’s Tale was well worth the wait for me as a PlayStation VR owner. 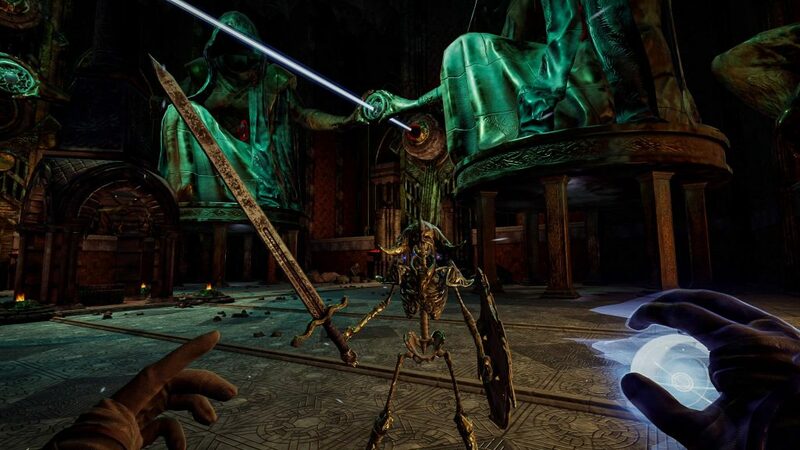 It’s a great first-person dungeon crawler that let me experiment with its spell system and feel rewarded and powerful for doing so. It’s a bit of a shame that we are stuck with the current Move controllers and the limitations that come with them as certain things about the game could certainly feel better with an improved controller. 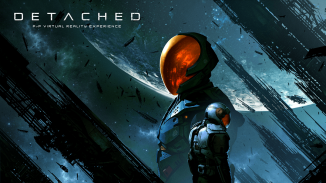 Despite that, this game was well paced, kept things varied, and had some great boss battles making it one of the early, must have PlayStation VR games of 2019.